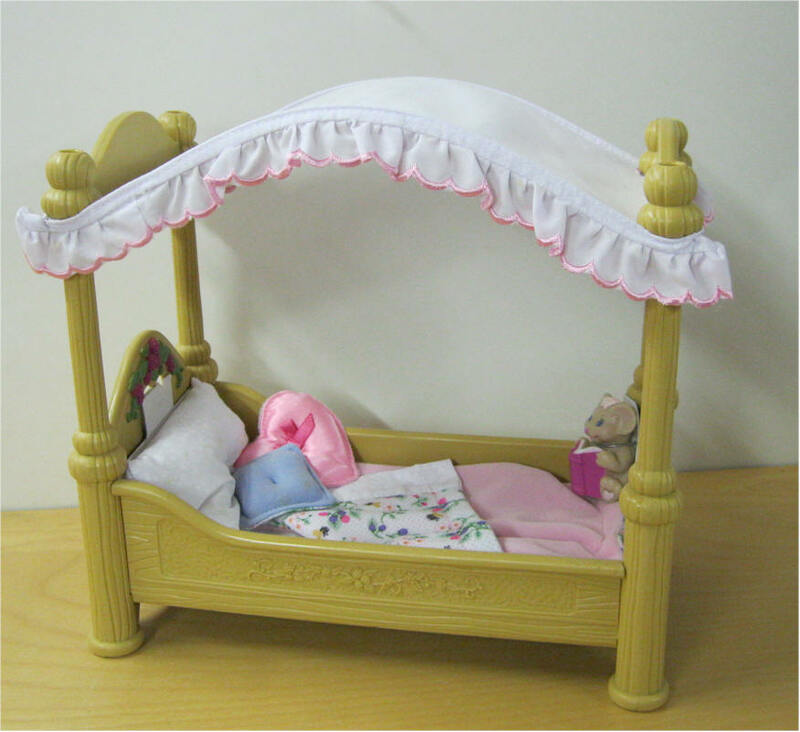 Price $12 SOLD Briarberry Canopy Bed includes bed, pink floral blanket w matching pillow, heart shape pillow and teddy bear. Never Used. Briarberry Dining Room Set Nice condition. Set is complete. 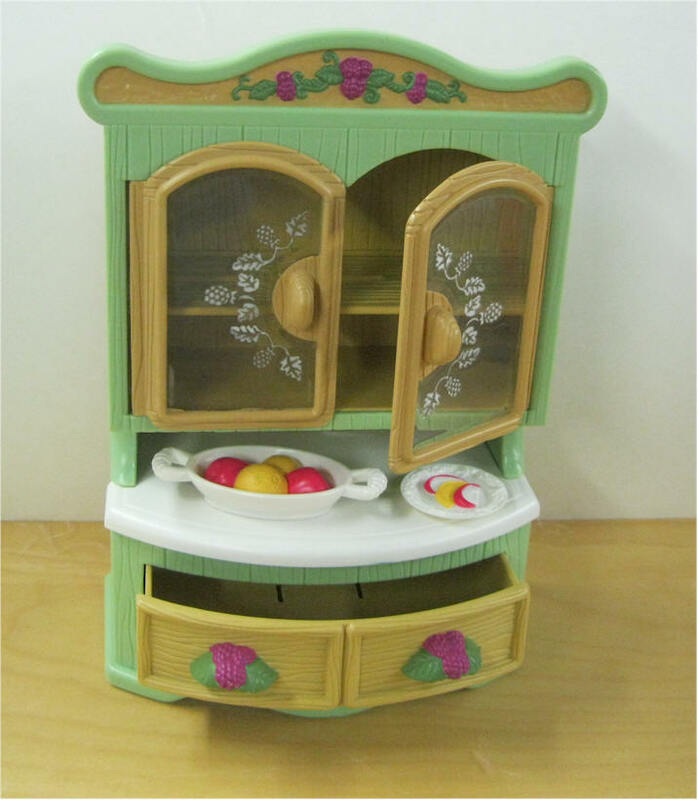 Price $12 SOLD Briarberry China Cabinet. Very good condition. 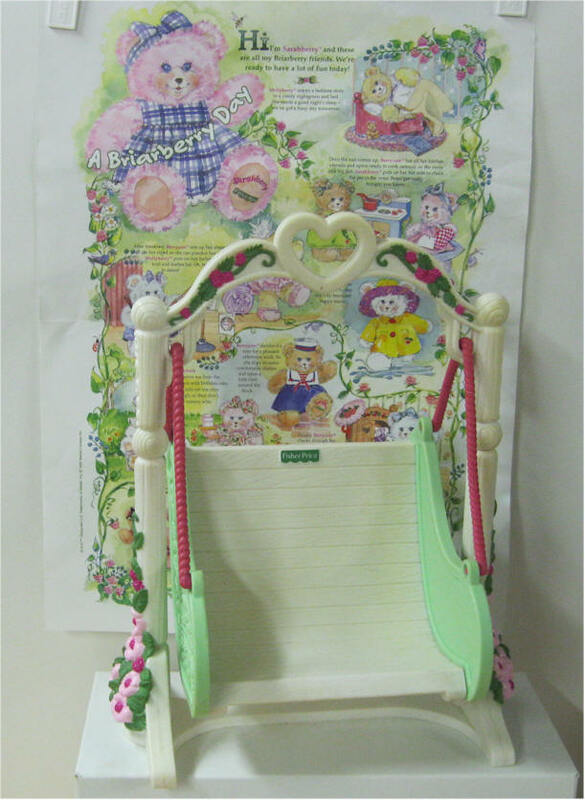 Briarberry Rocking Chair - Includes rocking chair, cushion, footstool, quilt and mouse. 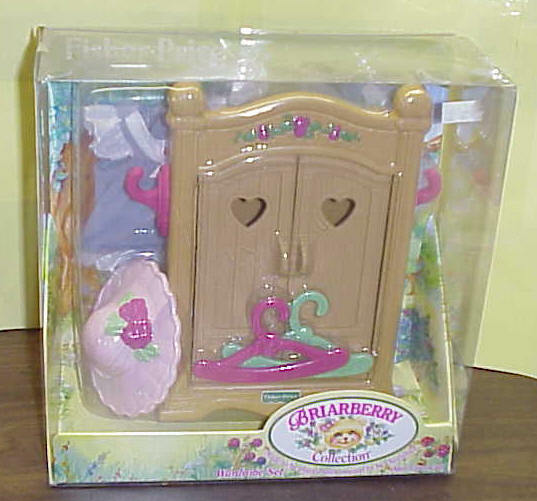 Price $25 SOLD Briarberry Wardrobe Set includes wardrobe with two opening doors on the front. Rose-colored berries and green leaves and vines decorated the top of the wardrobe. 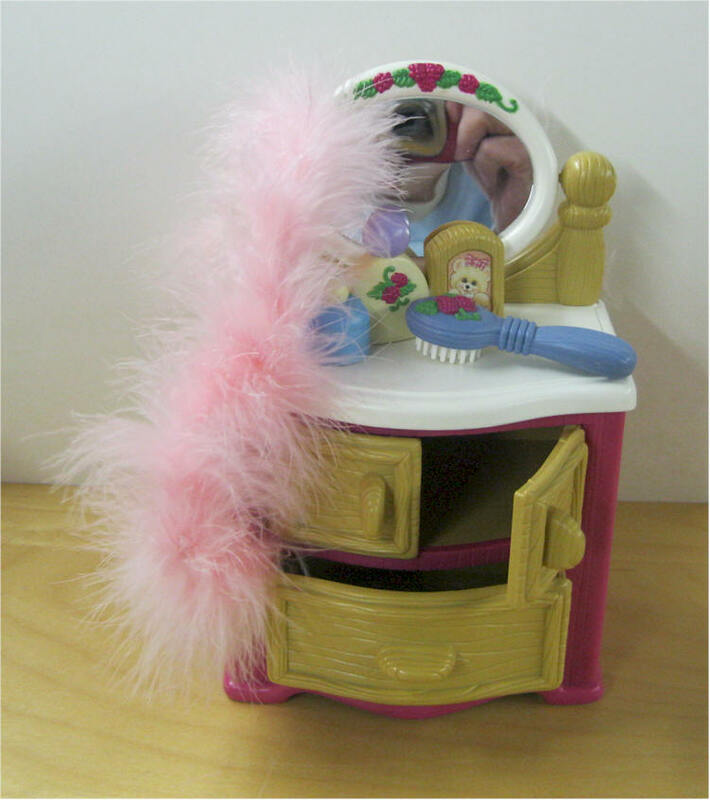 The wardrobe set also includes plastic hanger, hat and dress. Briarberry Bedroom Set includes a beautifully detailed rose-colored wood-simulated bed. Bed can fold up to a chair. 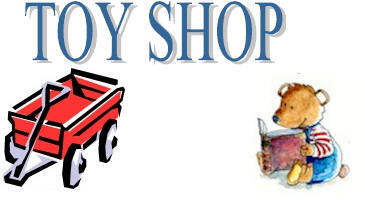 Includes a blanket, pillow, storybook, teddy bear, and nightgown that fits any of the Briarberry's. 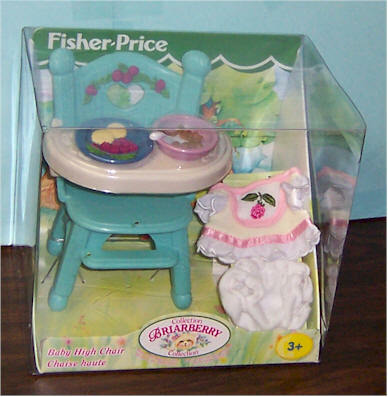 Comes with Baby Anna, blanket, high chair, outfit, pants, bowl and plate. Set is complete. 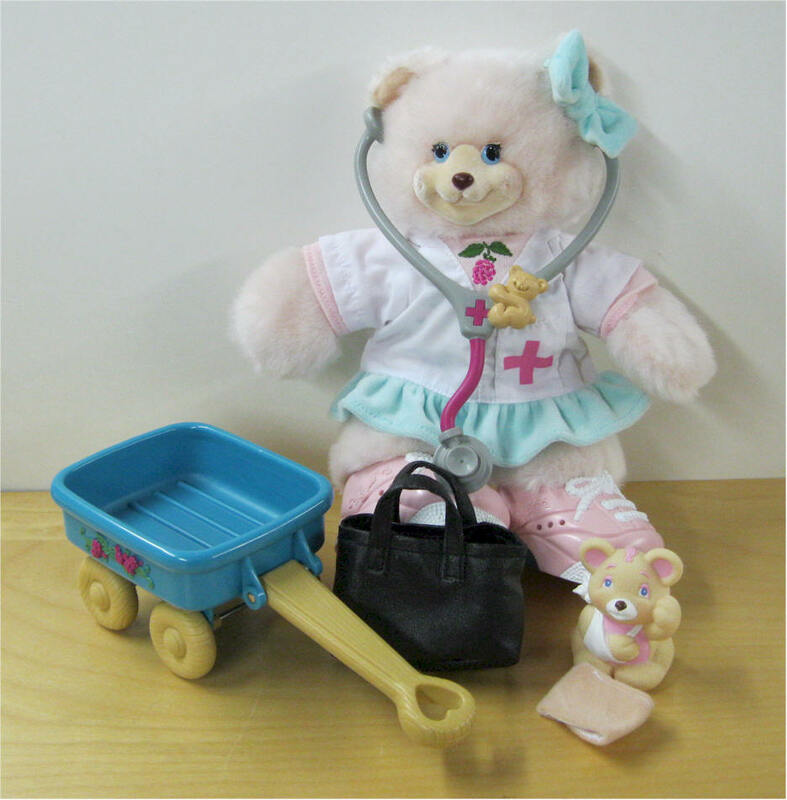 Price $45 Briarberry Doctor Set includes Briarberry bear, wagon, outfit, black bag, bandage, bear with hurt arm, high heel shoes, hair bow and stethoscope. 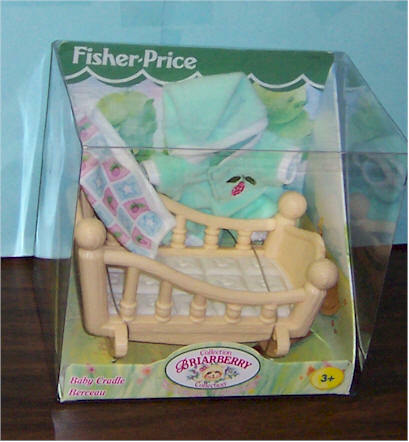 Comes with Joey, cradle, pajamas and cap, and blanket. 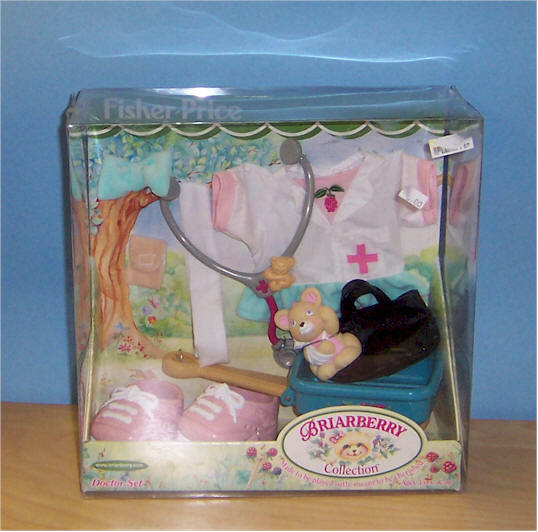 Price $45 Baby Care Set 2000 includes outfit, purse, carriage, blanket stuffed animal, bottle and high heel shoes. 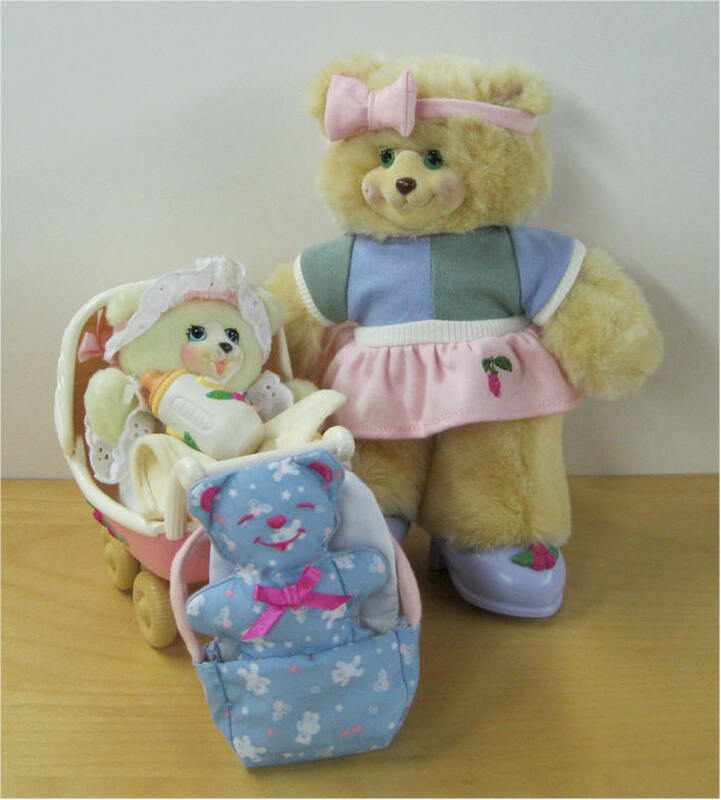 Briarberry bear and Baby. 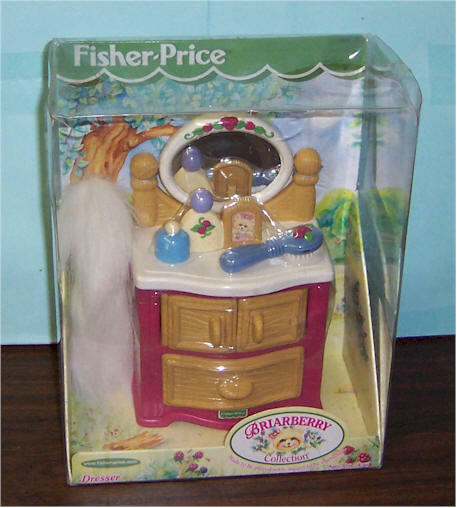 Briarberry Dresser - Mint in Box. Never Opened. 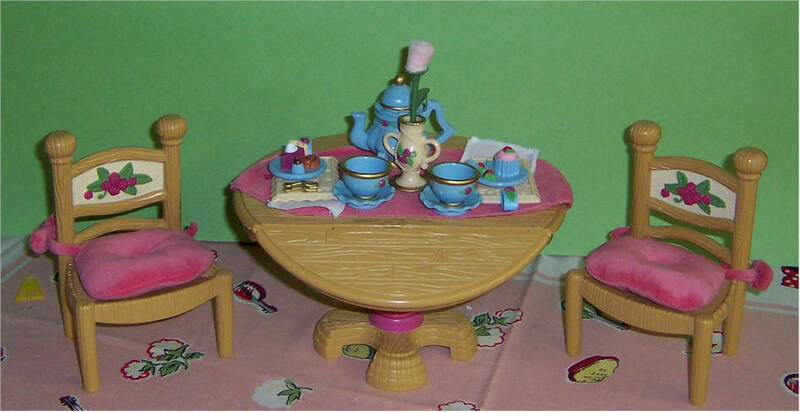 Price $25 SOLD Briarberry Dining Room Set - Mint in Box. Never Opened. 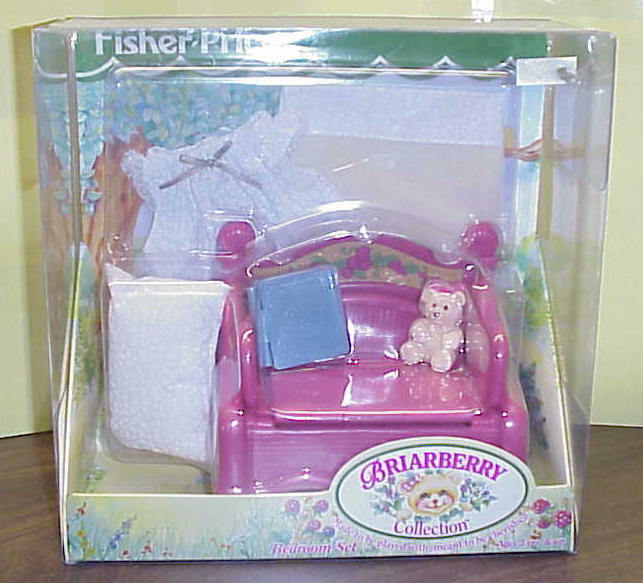 Briarberry Canopy Bed - Mint in Box. Never Opened. 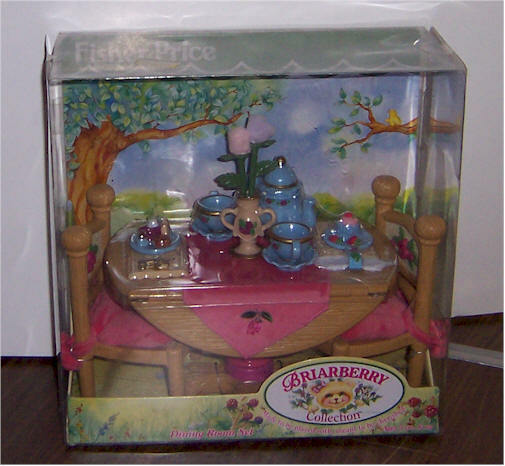 Price $45 Briar berry Back to School Set - Mint in box. Never opened. 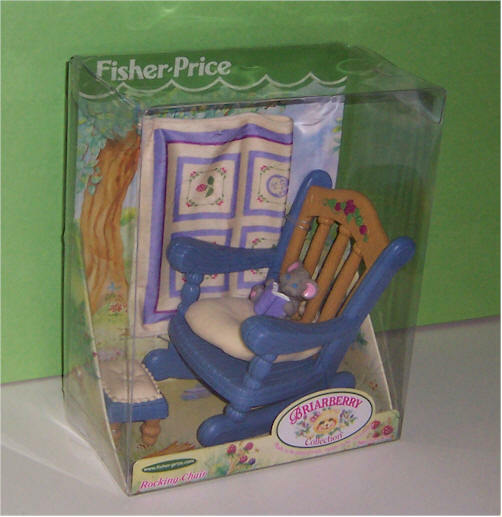 Briarberry Rocking Chair - Mint in Box. Never Opened. 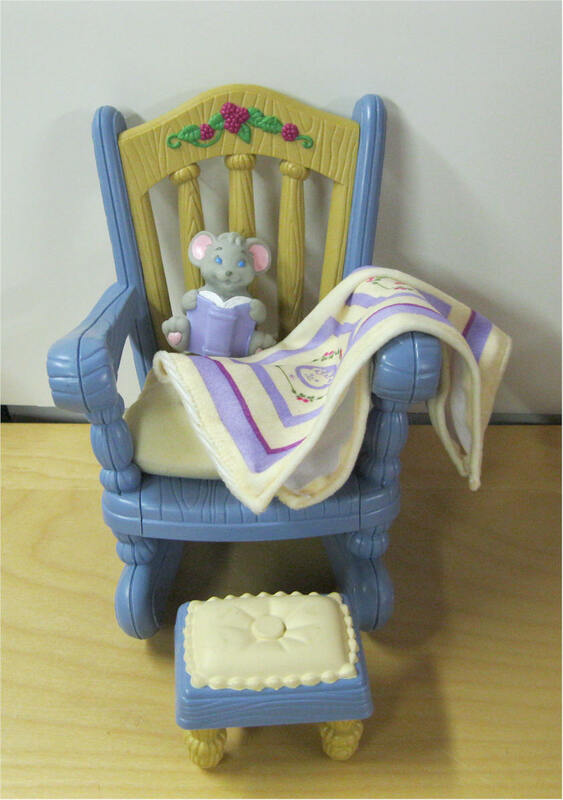 Includes rocking chair, cushion, footstool, quilt and mouse. Price $32 SOLD Briarberry Wardrobe Set includes a finely detailed wood-simulated wardrobe with two opening doors on the front. 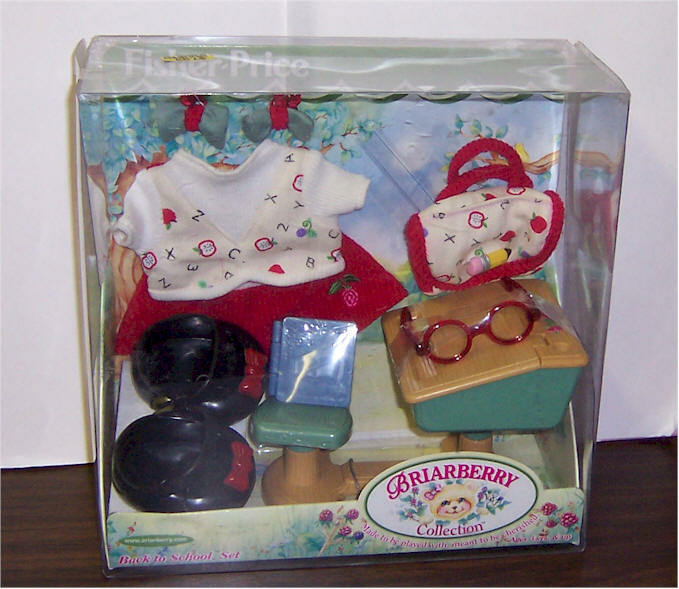 The wardrobe set also includes 2 plastic hangers, and a dress and hat that fit the Briarberrys perfectly. 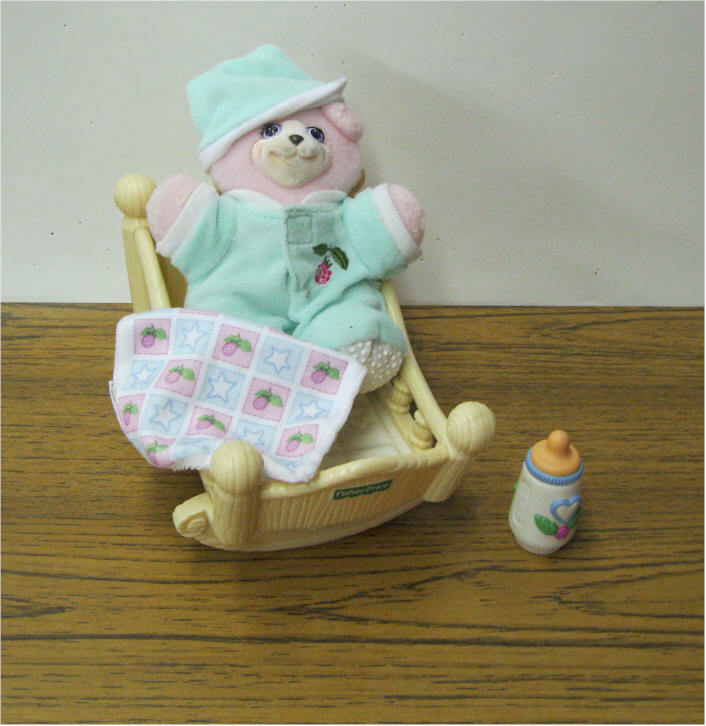 Comes with cradle, pajamas and cap, and blanket. 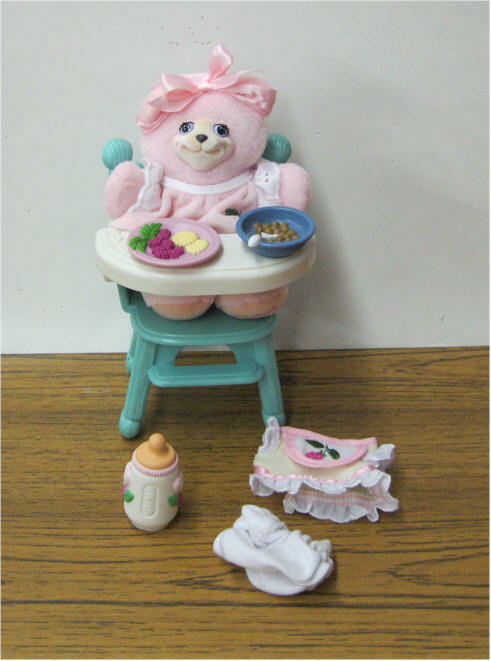 Comes with high chair, outfit, pants bowl and plate. 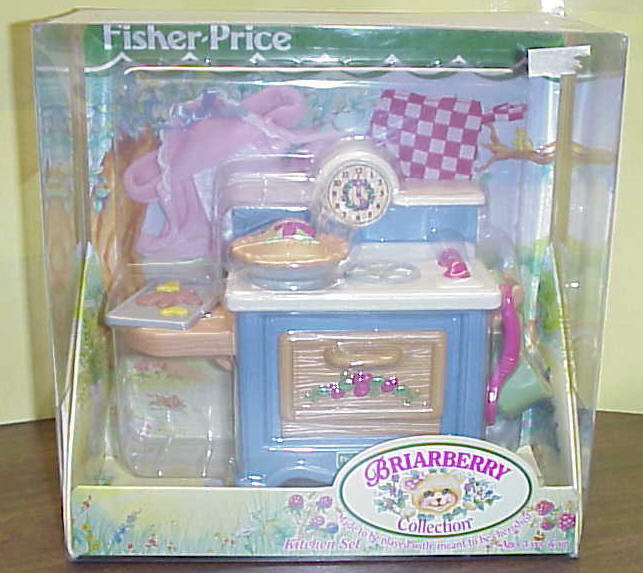 Price $125 SOLD Briarberry Kitchen Set includes a beautifully detailed blue stove and oven with an opening oven door. 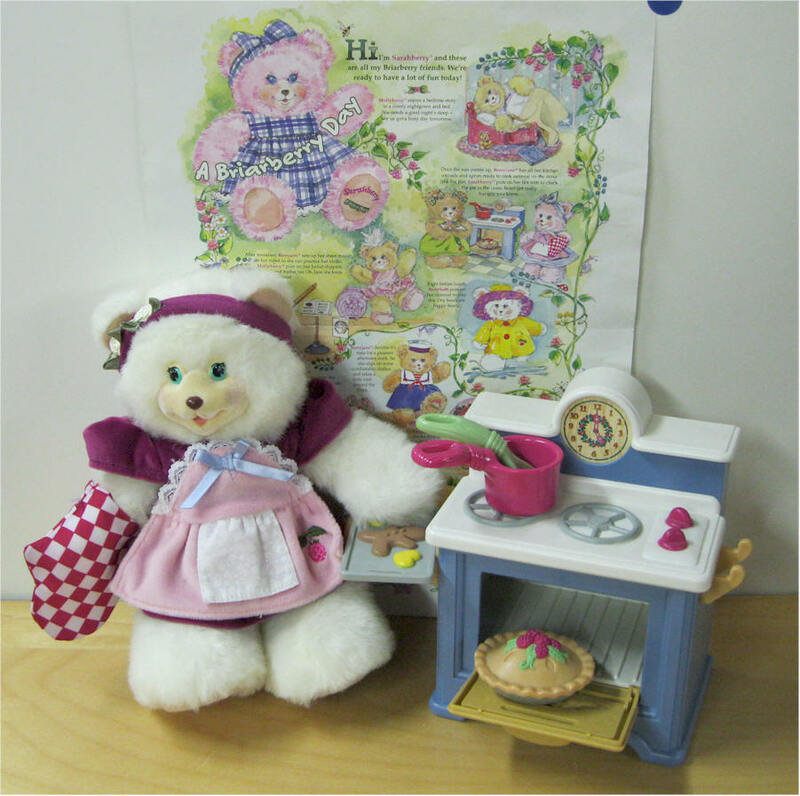 The set also includes an oven mitt and an apron.., a freshly baked pie, a tray of cookies, a soup pot, and a spoon. Briarberry Wardrobe Set includes a finely detailed wood-simulated wardrobe with two opening doors on the front. Rose-colored berries and green leaves and vines decorated the top of the wardrobe. 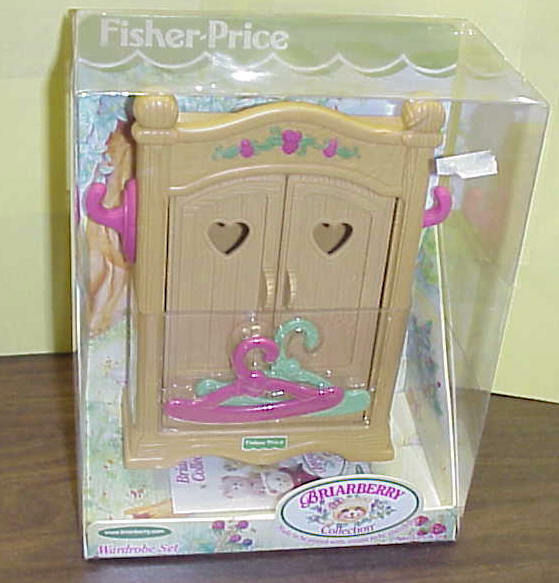 The wardrobe set also includes 2 plastic hangers, and a dress and hat . 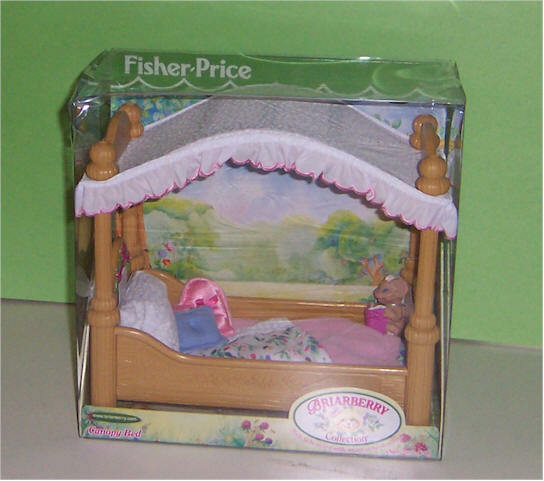 Price $14 SOLD Briarberry Bedroom Set includes a beautifully detailed rose-colored wood-simulated bed. This brilliantly designed bed can fold up to a chair! 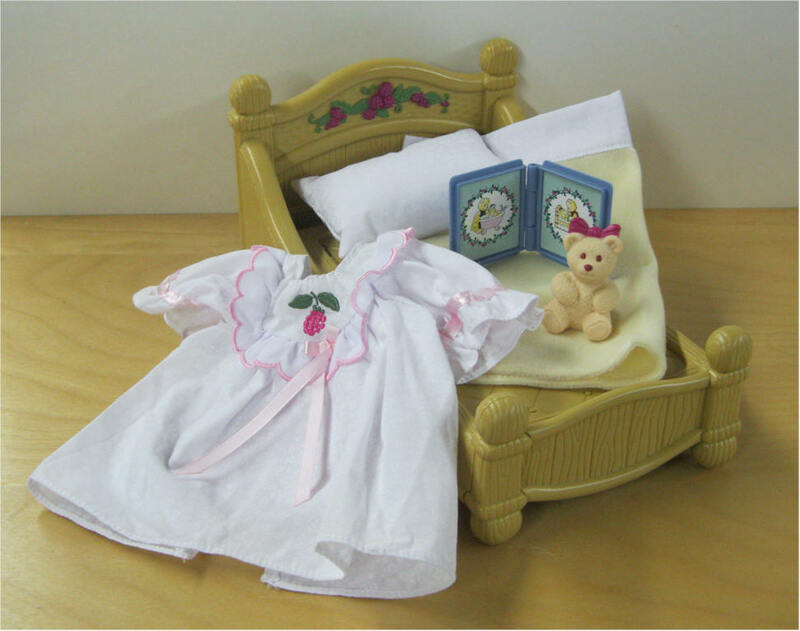 The bedroom set also includes a blanket, pillow, storybook, teddy bear, and nightgown that fits any of the Briarberry's. 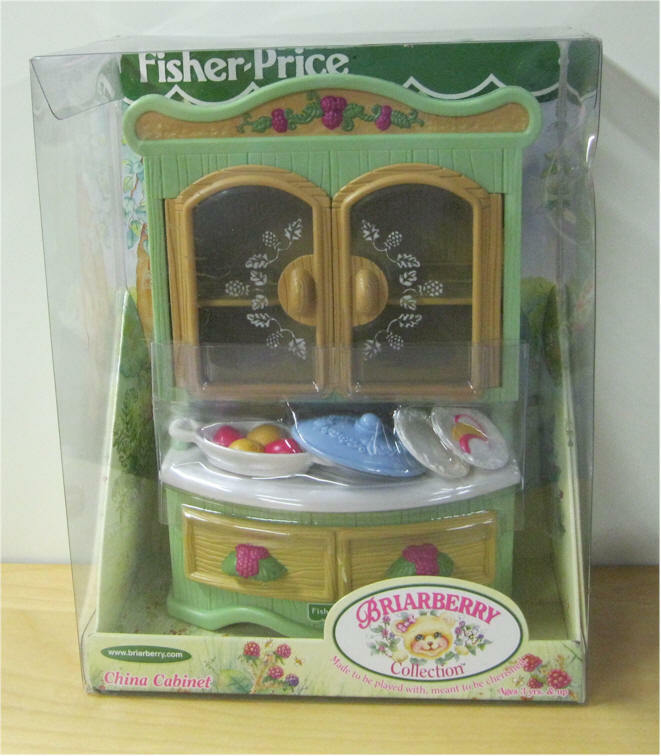 Briarberry China Cabinet. Mint in Box.